Forgot to mention the game can now be played without a VPN for anyone interested in starting it. For those interested in SP's DLC who haven't gotten it yet, you have less than a month to grab it before it's pulled down for good. Game is up now, is region locked to Japan. Edit: All goals have been cleared! 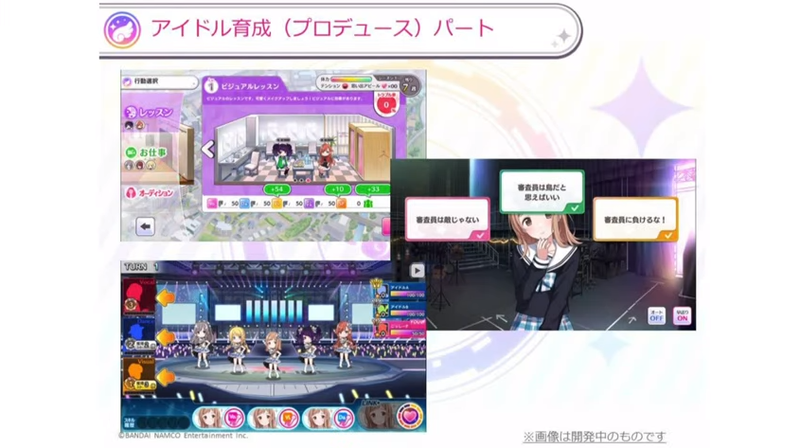 Game is described as "idol simulation x live battles"
Pre register is now open! There will be a stream about the new series on February 7th. 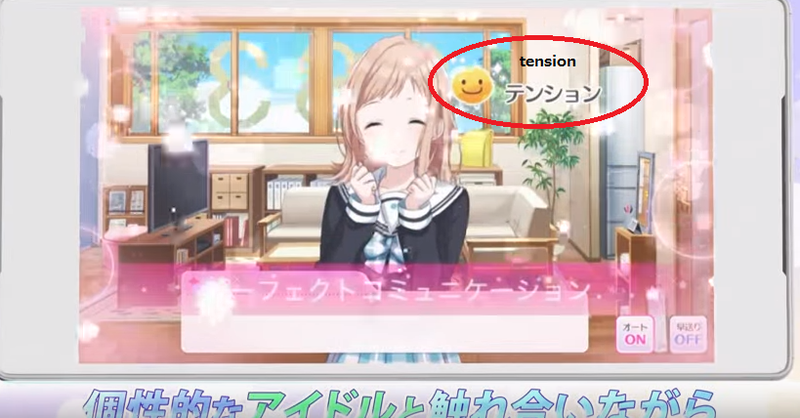 It was confirmed it is this one as the blog post mentions it being announced at Tokyo Game Show. 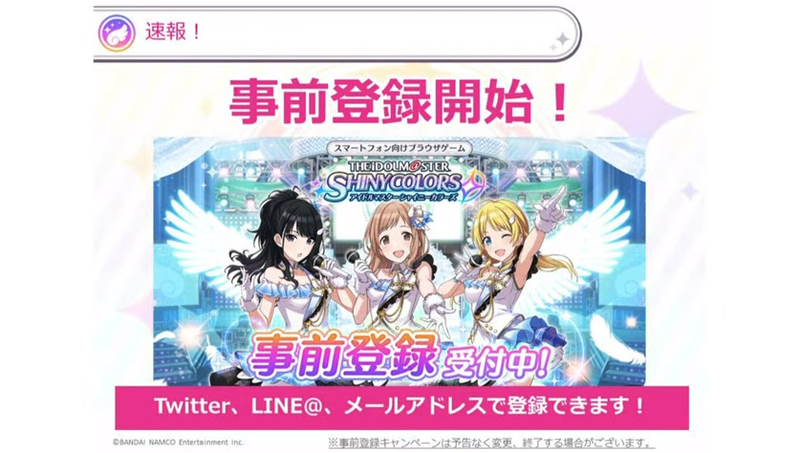 Instead of just Nico Live you can also view it on Youtube Live and LINE Live. Links below. 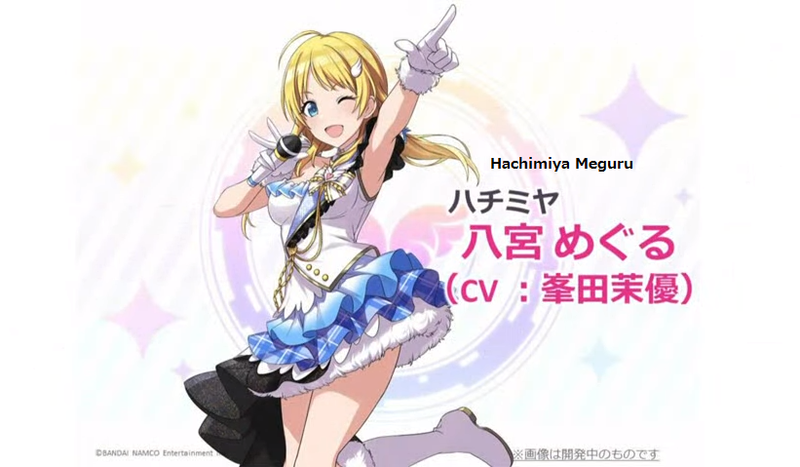 Edit: By the way since I didn't link it back when it was announced what they confirmed at TGS was that the focus will be having a new start with new idols. The title and key visual weren't revealed there, or any other details. 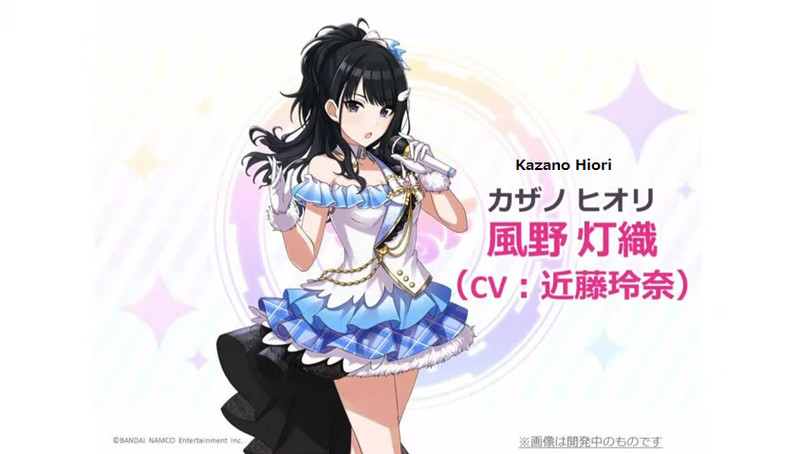 Edit 2: Famitsu article also adds "it's a completely new iM@S, same bit about the new idols being the focus from TGS, new designs"
I got a drawing tablet recently so here's an update. Admittedly I haven't made as much progress as I would have liked due to personal issues. 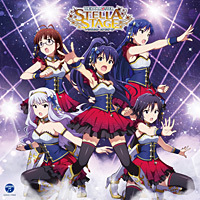 This is for posting about the STELLA MASTER series of CDs for the PS4 game Stella Stage. 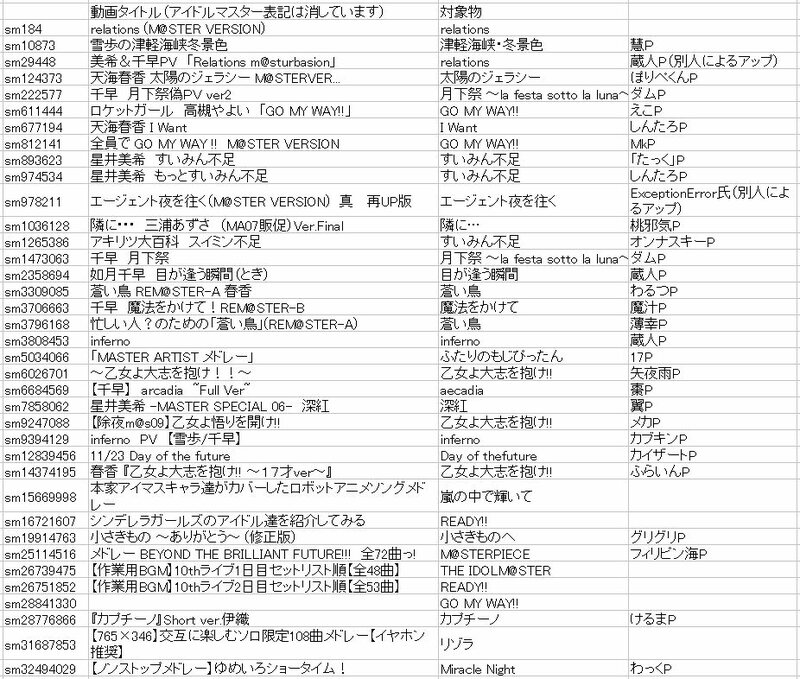 Over the past few days many classic NICOM@S (iM@S videos made and posted by the nico nico douga community) were removed from nico nico. It seems that some iM@S haters on 5ch (formally 2ch) flagged them all and got them removed. Here's a list of some of the videos removed, the original images coming from twitter. One of the ones hit was the famous Tonari ni... video with over 1 million views that made many people become AzusaP after seeing it. Anyone knows the name of the Hell Training Song? Let's say this. There's actual major plot points. One of them (it's the spoiler thread in question) most people haven't seen yet. You might suspect PART of it, but one part WILL catch you by the curve. It's the sort of slow play, but there IS an end in sight, and unlike PS, it's all dependant on you and your progress in the game. I've no idea how many items are in the game, cause I haven't done a count yet. Just say 'A lot' for the time being. Thank you for replying. I didn't mention the story as much as I should of as I had only gotten Chihaya to S and thought it wouldn't be fair to base all of the stories on that. I also wanted to keep Shika's plot point spoiler free as the game only just released. As for my gameplay while I focused on Solo I did go back to earlier lives to EX Clear them for more CP to boost stats. I had planned on doing the other units and missons after that which I just reached. 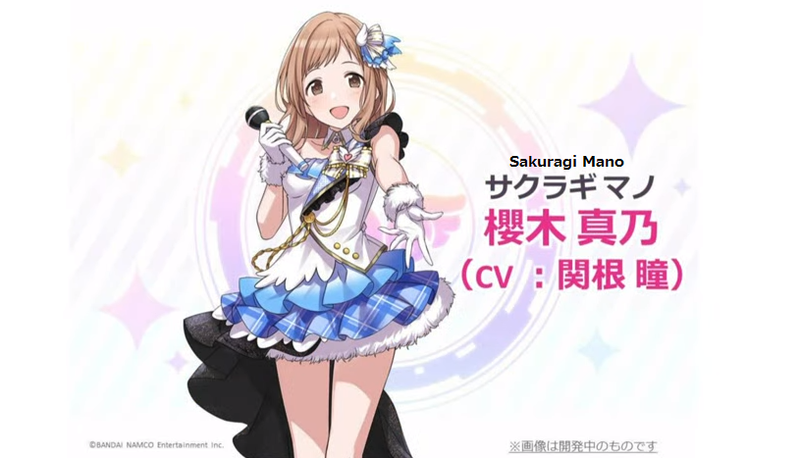 I did notice some songs come out of seemingly nowhere, like Kiramekirari. 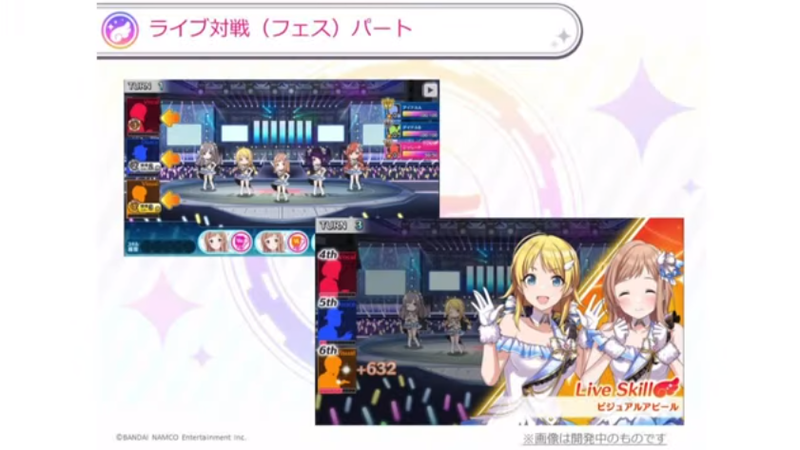 I didn't know iDOLM@STER 1 was in there as I hadn't unlocked it yet. I definitely think the game has plenty of content in pretty much everything but the communications, which is important to some people including myself. I didn't mean to say this game is just an improved PS, I just wasn't sure I could say with confidence that people who felt burned by PS would enjoy this game as much as One For All. 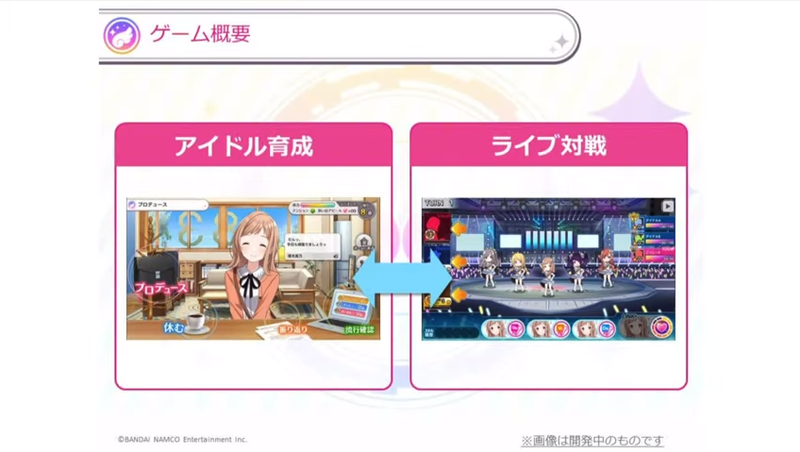 It's possible the DLC could change things just like OFA was improved through free updates and it's DLC. So having gotten Chihaya to S rank here's some positives and negatives about the game. DISCLAIMER: This is only based on what I experienced from the beginning to 1 idol solo route. This is NOT 100% of the game's content. The unit system! You can actually use solo, duo, or trio to S rank! Coaching also has it split into these and quintet. However note 100% completion will need to use the other types. 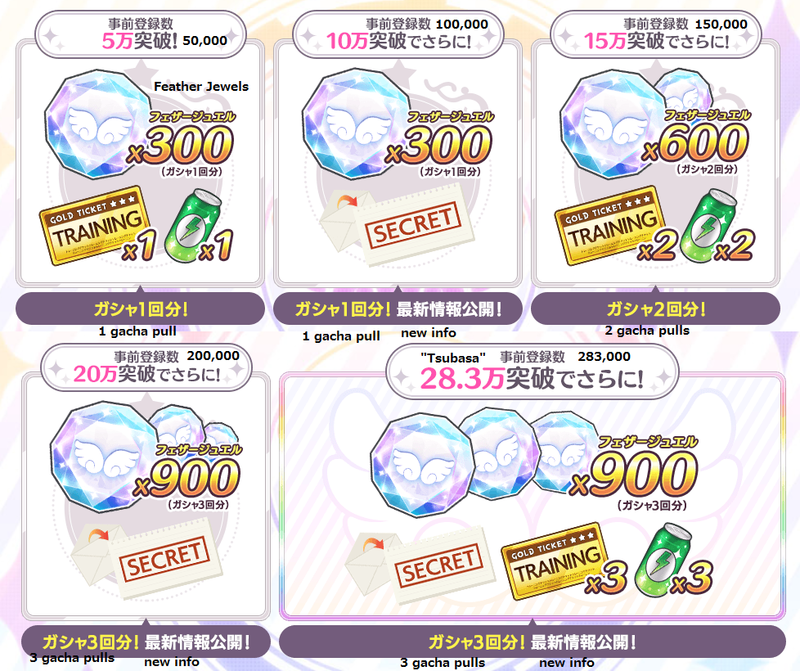 Obtaining songs and costumes is much easier than PS! While some are harder to get than others it's more a matter of saving up money than RNG. 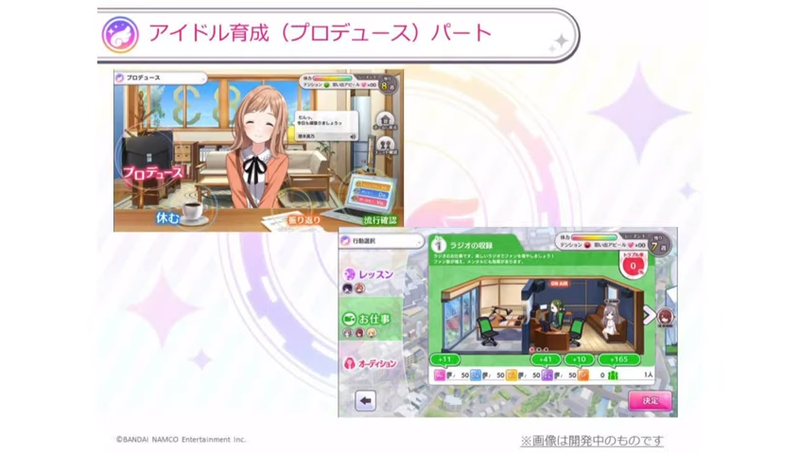 Presents in this game are for fan letters and bonus items only. I won't spoil how but the credits for this game was my favorite since the original game. DLC from Platinum Stars carrys over. New costumes. I really liked some of the new costume designs in this game. Another little thing but I loved the different burst animations. While the gameplay structure is great, I can't really say I can recommend it to people burned by PS. At least not right away. There aren't many new features added, but I found the few they did add made things much more enjoyable. Not enough communications again! This is my biggest reason I have trouble giving the game glowing reviews. The day off commus were shockingly short (About 2-4 lines from Producer) and there's not really much more commus than in PS here. It's a shame as I did enjoy the ones they had even if short. It takes a year to unlock the time limited lives. I nearly forgot about them until it was like "here they are". I get why as they're aimed at higher players mostly but they could have at least had the usual holidays during year 1. The game seems to only have 6 DLC catalogs once again. Even including the PS carry over that's 12 catalogs, which is below average still. With the sped up release it also means support for the game may end quicker than last time if they don't do more afterwards.